This lustrous bucket bag is perfect to make a statement on those off-duty days. 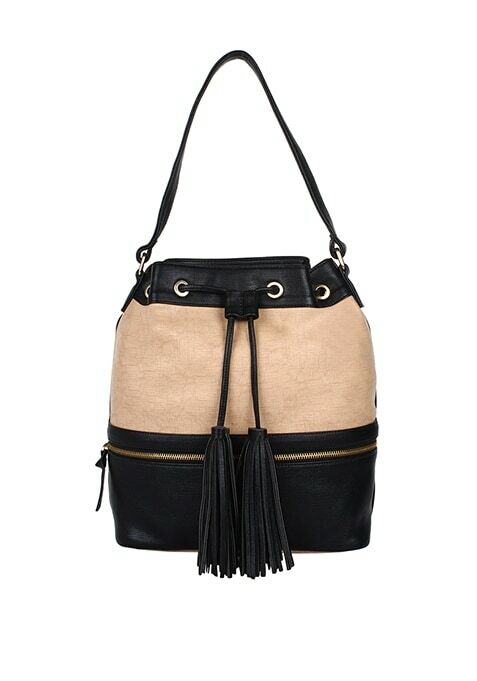 Features a fringed drawstring top closure, a front zipper detailing and gold tone hardware. Work It - Style it with your basic tank and shorts to channel a casual vibe.